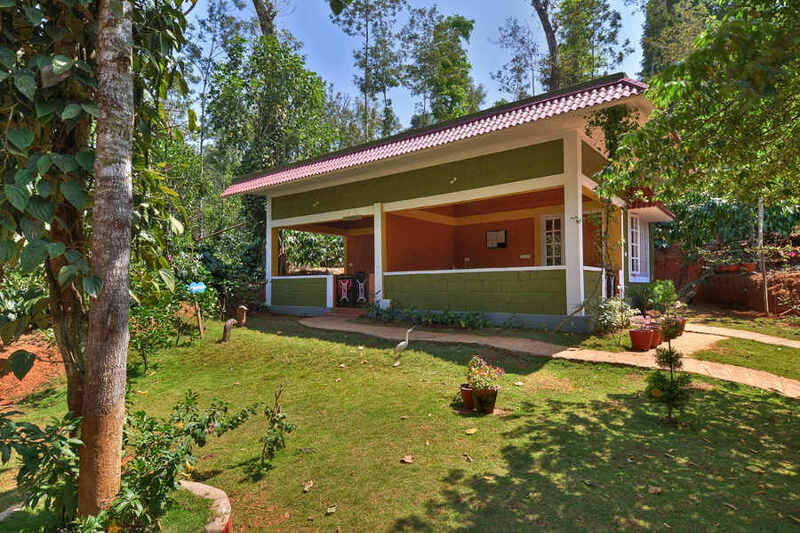 Use the form below to inquire about Serene Estate Homestay In Coorg . 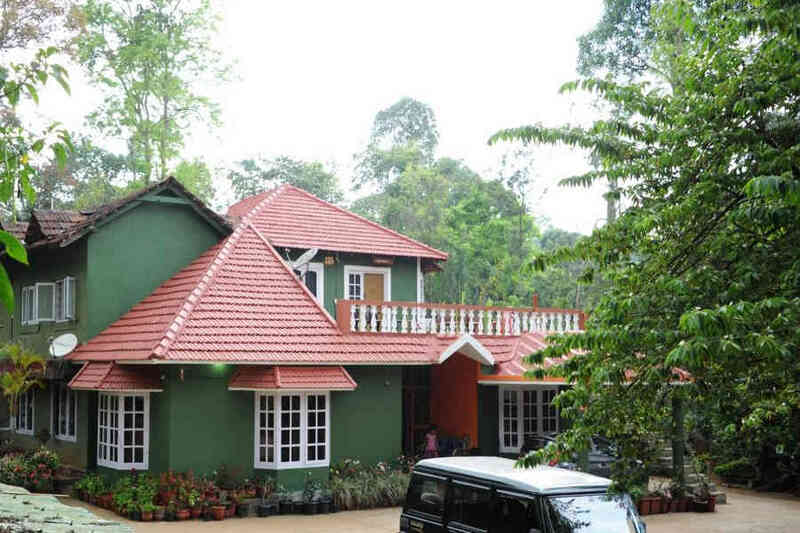 Use the form below to reserve for Serene Estate Homestay In Coorg . 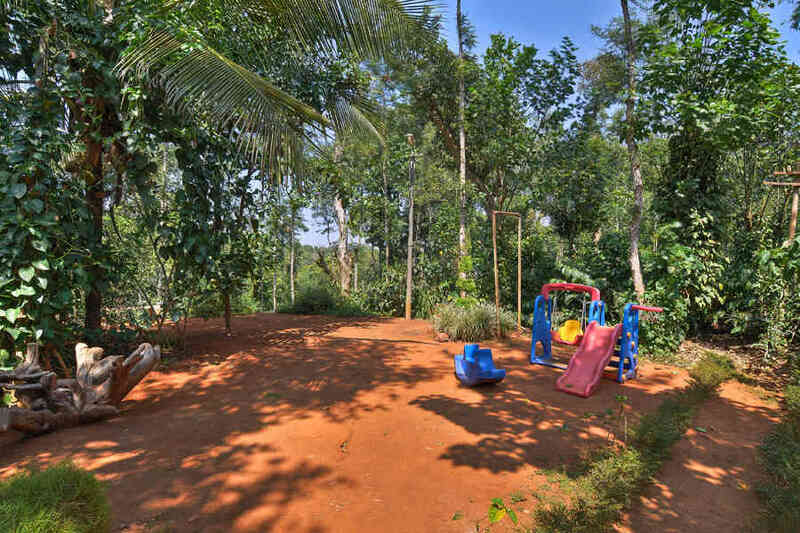 Enjoy the hospitality of a welcoming family at this Serene Estate Homestay in Coorg nestled within a fragrant coffee plantation. 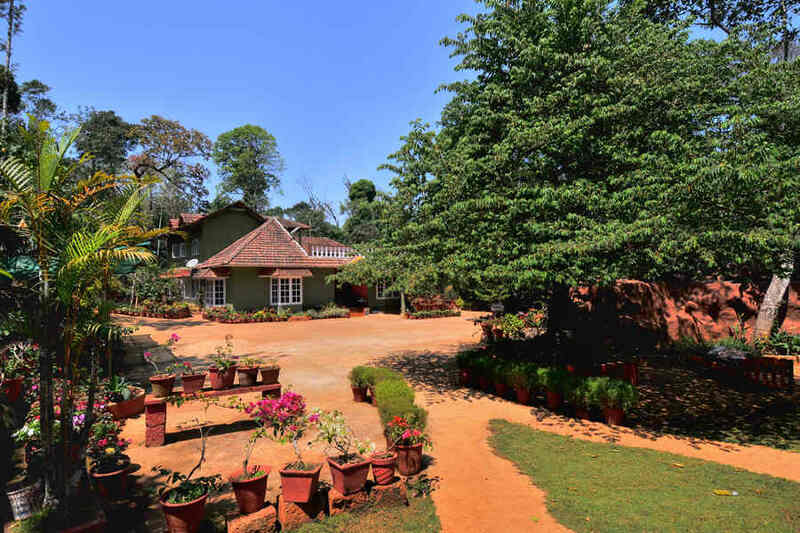 The landscaped grounds of this Serene Estate Homestay in Coorg invite you to make this your base while you explore the surrounding locales. 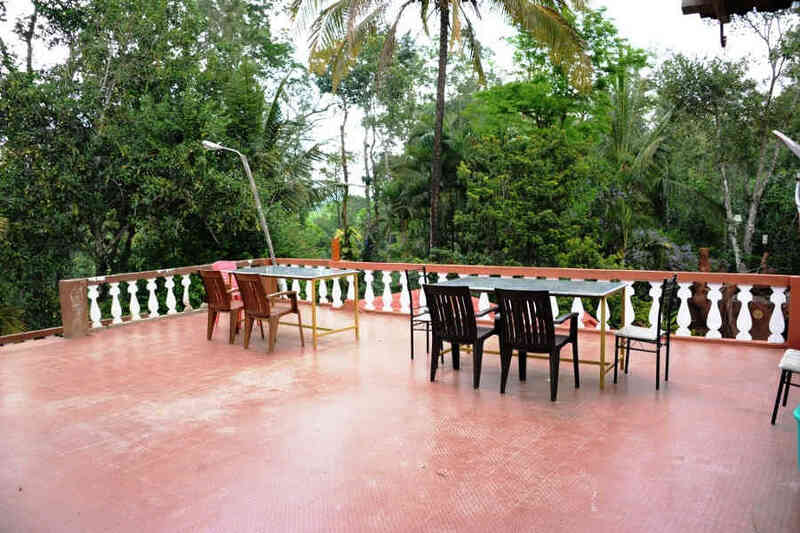 Located in Madikeri, it is close to Chilipili Temple as well as the other attractions such as the city and the fort. 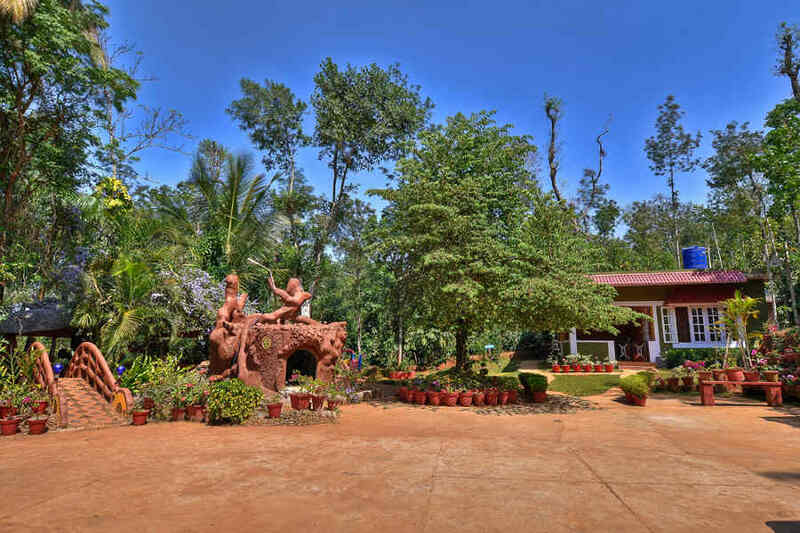 Surrounded by lush greenery with plenty of fruit trees and flowering shrubs, it is an ideal spot to unwind in peace. 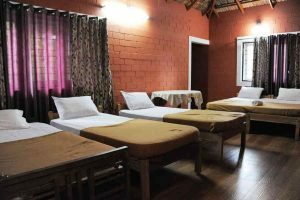 This Serene Estate Homestay in Coorg resembles a typical local residence with separate cottages a little away from the main house. The tiled roof and the brick walls of the buildings help it blend in seamlessly with the surroundings. Wooden beams can be seen on the ceiling of the rooms. Well-laid out pathways make it easy for you to get across the property. There is an outdoor dining area which is creatively built and you also have the option to enjoy your meals in the privacy of the seating area adjoining your room. 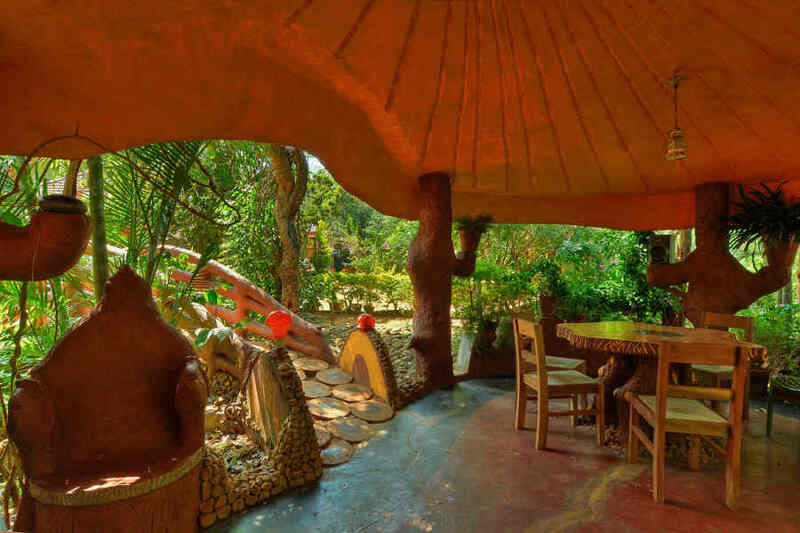 You can choose from a variety of items including traditional Coorgi dishes and beverages. You can enjoy going for long walks through the plantations or hike along the many trails in the area. During coffee-picking season, you can get a glimpse of the process as workers go about their chores. There is also a small play area for the little ones to have some fun. There are three comfortable rooms at this Serene Estate Homestay in Coorg. These rooms are ideal for couples as well as larger families or friends traveling together. 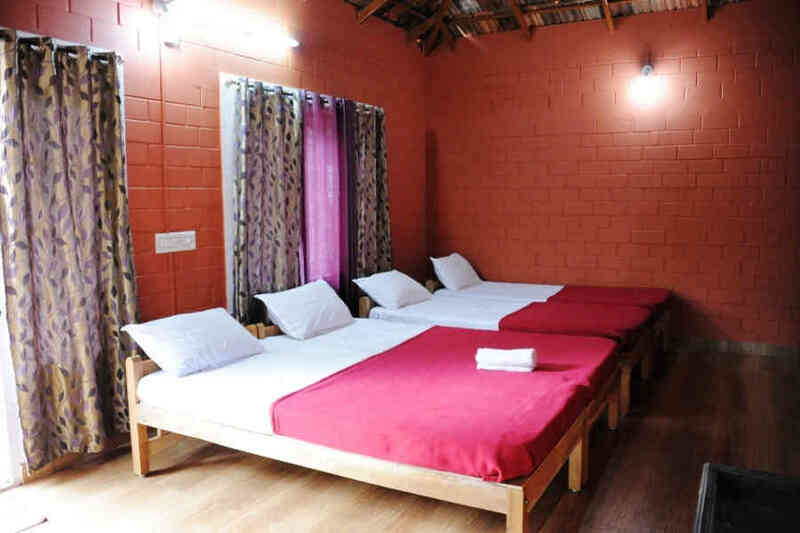 All of the rooms come with attached bathrooms and basic amenities such as television sets, chairs, and dressing tables. An ideal getaway with all the comforts of home for a holiday with friends or family in the heart of coffee country! This homestay offers you a great opportunity to commune with nature and the chance to do quite a few things that you are likely to miss out on in the city. 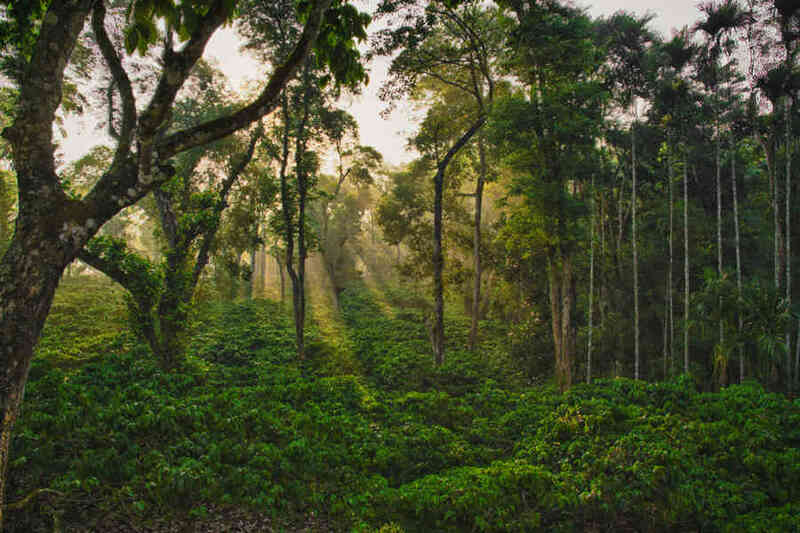 Explore the fragrant plantations of coffee and cardamom as you stroll across the property. This is also a good place to spot quite a few interesting bird varieties. Be sure to capture some photographs for lasting memories of these feathered species. The attractions and popular tourist spots of Madikeri are close by and you can visit all these at your leisure. Raja’s Seat is a park with fountains and offers stunning views of the sunset. Madikeri Fort dating back to the 17th century also houses a palace. Sri Omkareshwar Temple and Abbey Falls are some other spots of interest in the vicinity. At 147 km, Mangalore International Airport is the nearest with Calicut Airport at a distance of 200 km. Kempegowda International Airport, Bangalore, is 286 km away. The nearest railway station is Kannur at 112 km while Mysore Junction is at 117 km. Mangalore railway station is 147 km away while Bangalore railway station is around 262 km away. Sullia is at a distance of 55 km via NH275 while the royal city of Mysore is 118 km away along the Mangalore – Mysore Highway. Bangalore is 265 km along NH275.